A splendidly engaging and unexpected ode to cinema, women and doing what needs to be done in World War II, Their Finest captures your attention and heart with the story it has to tell. A crowd pleaser with a most knowing touch is an apt way to describe the delightful Their Finest. It is 1940, London, and the Blitz is at its height. Catrin Cole is a Welsh girl, living in an apartment with her artist husband Ellis, whose more than a bit moody and not exactly a supportive presence. A copywriter, she is called specifically the film division. Her knack for good dialogue is realised, even though it is said that she will be writing what many call the slop( women’s dialogue). She is hired for work on movies and partnered with snide and cynical Tom Buckley and older, more understanding Raymond Parfitt in the screenwriting process. Though paid less than the men and frequently questioned about her capabilities, Catrin emerges as a talented addition to the team. Being one of only a few women in a male dominated game, the odds are stacked against Catrin. But she is no wilting flower and can gradually in the story, easily handle herself against sexism and attitudes towards her doing a profession such as hers. 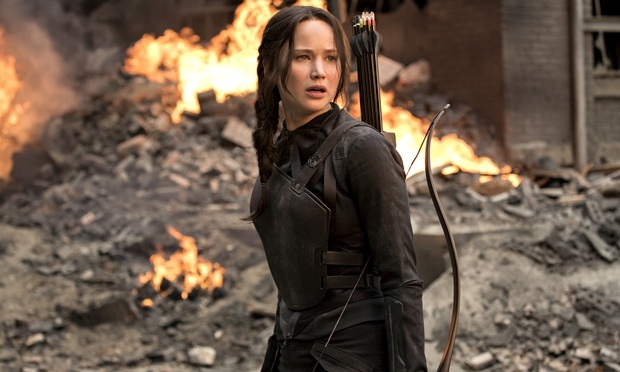 With the War raging on, cinema provides an escape for those at home. The Ministry of Information is hoping that a new propaganda film will blend both authenticity and optimism into one, enabling audiences to feel comforted and with a rousing feeling. The film takes its basis from a newspaper article of two twin sisters using their father’s boat to rescue men from Dunkirk. Upon researching it further, Catrin discovers that the story has been exaggerated a lot. Though knowing this, she helps form a scenario around the events that will boost morale. And being that it is a propaganda film, the embellishment of facts is inevitable anyway. Catrin shows how indispensable she is with her flair for writing and her emerging determination to be taken seriously. Soon production is under way, yet various issues are present. The over the hill Ambrose Hilliard, who has a big opinion of himself, is perturbed that he is playing an old role. This is amusing because he is in his 60’s, yet can’t quite accept his glory days are far behind him. In order to appeal to American audiences and hoping to coax them into joining the war, the big wigs of production and Secretary of War employ former pilot Carl Lundbeck to be in the picture. The problem is, while handsome and projecting the right image, he is a hopeless actor. Most of all, it’s nearly a battle itself between Buckley and Catrin Through it all, Catrin manages to let her voice be heard and earn the respect and love of the initially standoffish Buckley as the unpredictable war continues. With luck, they hope their movie can be a rousing success and ignite the public imagination to a feeling of hope in a time of darkness. Lone Scherfig, who previously demonstrated her greatness at tapping into the past in An Education, showcases that again with Their Finest. She finely discovers humour, pathos and inspiration in the story and knows exactly when to incorporate seriousness into the largely amiable proceedings. It’s a tightrope walk that could have gone wrong, but humour and maturity go hand in hand here, and highly benefits the overall product. 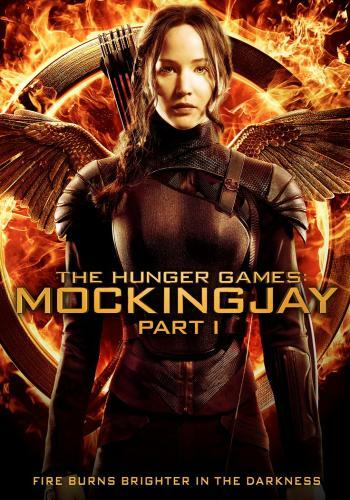 Plus, Scherfig’s greatest asset is shooting a movie concerning World War II from a female perspective. 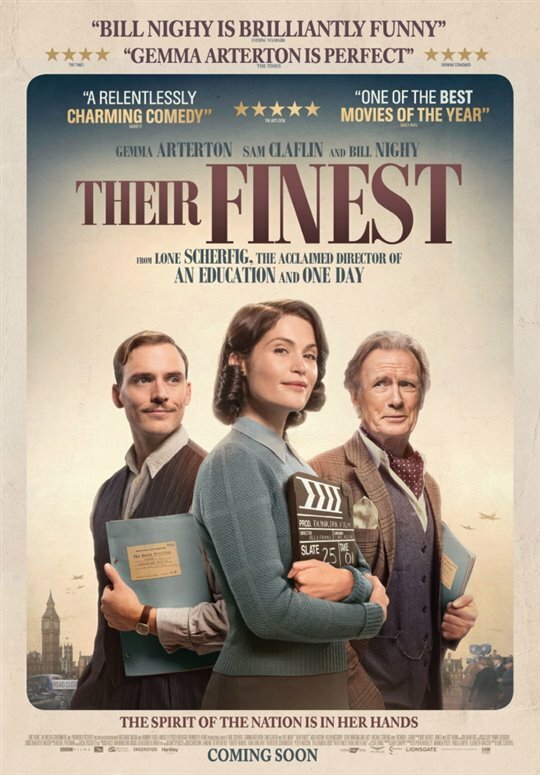 I personally feel that there are not enough movies about World War II focus on the women who played a part, thankfully Their Finest corrects that in style and a displays a fervent female overcoming the obstacles to gain respect. The film itself is blessed with a sincere and funny screenplay, that has humour in the making of the propaganda film and the emotional undertones of the terror that war brings. It also has a great usage of wordplay, particularly between Catrin and Buckley, whose growing attraction becomes more obvious, despite the constant sniping and disagreements. You may be forgiven for thinking that Their Finest is simply cosy whimsy, but while it is charming and full of vitality, it never skirts around the tragedies or hardships of the war. And while at first you may be inclined to believe you know the outcome of the film, it throws in a surprising curve ball that changes a lot. Believe me, I never saw it coming at all, which is a credit to how the movie knows when to blind side you and show its dramatic muscle. This very instance of shock brings with it a heft of moving moments that add another string to the movie’s bow. Very much like the movie being made in the story, Their Finest knows how to please the crowd, being rousing yet never forgetting the devastation of World War II. 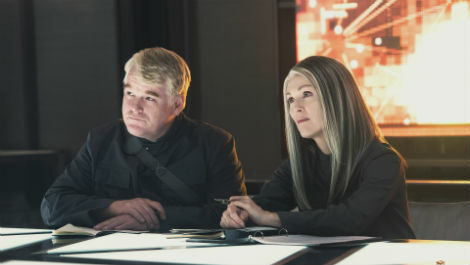 You can’t get be wrapped up in the inspiring story, both of Catrin asserting herself more and the behind the scenes look at the propaganda movie. Comedy ensues in the brightest way in the beginning the scenes stretches, with various techniques and mishaps proving how the experience of a film is trying but usually worth it. A lovingly flowing score from Rachel Portman highlights the optimism and change of the time with deft assurance and emotional touches. A beautifully judged performance from Gemma Arterton is one of the main joys of Their Finest. A nicely employed subtlety is evident in her keen and plucky portrayal, finding emotion and growing feistiness in the role of Catrin that is a great showcase for the actress. Lovely, genuine and boasting a backbone of steel that comes in handy when asserting her talents, Arterton makes Catrin an arresting heroine who you immediately warm too and want to watch succeed. For my money, this is one of the best parts Gemma Arterton has had in a movie and goof for her I say, as I’ve always been a fan of hers. Sam Claflin, behind small glasses and a moustache, has the stinging sarcasm and attitudes for a man of the time; while delving into the inferiority complex he has and why he acts like a jerk. He shares a nice chemistry with Arterton, that starts flinty and evolves into a mutual understanding that is lovely. 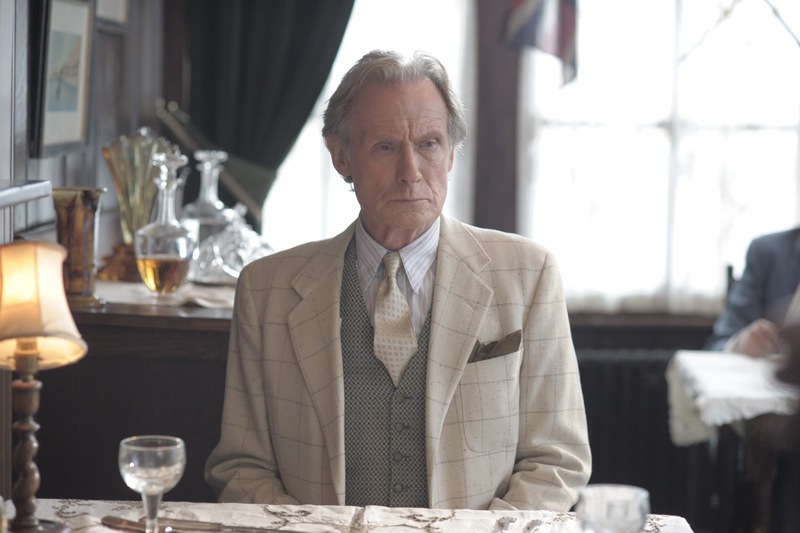 Being the scene stealer that he is, Bill Nighy sinks his teeth into the part of has-been actor who still thinks of himself as the biggest star in the world. It’s a funny, self-mocking part, that also makes time for Nighy to display a caring and inspiring side to what at first appears to be a very difficult. Nighy is the one who gets most of the laughs in Their Finest. Jack Huston is left with the least engaging part of Catrin’s inattentive husband, while Paul Ritter quietly thumps away at the typewriter as the mediator in the screenwriting process. Also getting laughs is Jake Lacy, whose all American appeal and square-jawed features are handsomely used to play a charming but not very talented star thrown into the propaganda film. Richard E. Grant, Rachael Stirling and Helen McCrory provides great support, as does a cameo from Jeremy Irons as the Secretary of War. Charming, spirited yet grounded in seriousness when it needs to be, Their Finest is wonderful movie making that celebrates the powers of cinema and inspiring women. A dark and often uncomfortable film set within a secret Oxford society of toffee-nosed young men, The Riot Club has currency undoubtedly. And while the direction is confident at burrowing into this world and the performances pretty good, it never quite pulls together as a film which ultimately knocks it down in estimations. Two young men, Miles and Alistair begin their first years at Oxford University. Both boys are from prosperous backgrounds but are very much opposite in terms of attitude; Miles is an amiable guy, who despite being from money, is quite open-minded and funny, while Alistair is a surly, resentful guy with a massive chip on his shoulder. Starting life in university, they both begin to hear of The Riot Club. It is a secret society that has been going for centuries and is dedicated to debauchery, drinking and selfishly bad behaviour. The club needs ten members each term and at the minute, there are only eight people. Slowly, both boys are coerced into the club, which gets away with most of its activities through the use of money and entitlement. Now proper members, they are invited to the celebration dinner that the club hosts every year. As they have been banned from quite a few establishments for misdemeanors in the past, they settle on a pub and take their hedonism to the back room. As the night progresses, things begin to get out of hand very quickly. And when a shocking act of violence is committed, it threatens to shatter the club to the very core and tear their futures apart. Having directed the perceptive An Education, Lone Scherfig transfers her skills to this cruel subject matter. Her direction is quite adept as she shoots from something of an outsider’s point of view; getting us to sneak into this debauched world of privilege and abhorrence, even if we don’t understand it. Scherfig is at her best when it comes to the crux of the film, which is the annual dinner scene where the dramatic heft comes in. Playing with whirling camera angles and too close for comfort close-ups, she intelligently gets across the scathing attack on the rich, who have no cares but their own and don’t give a damn about who they hurt. 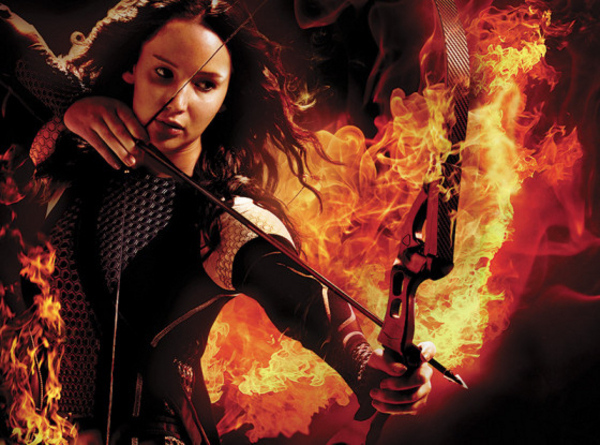 It is the best part of an uneven movie and one that savagely builds to violence. Before that, the pace takes a little bit too long to get really going and you may find yourself losing interest. At least when the dining scene hits, it grabs you by the scruff of the neck and pulls you in. If most of the film had been confined to this extended scene, then the claustrophobic impact may have hit a little harder than it actually did. The script from Laura Wade, and based on her own play, takes vicious aim at the class system, a culture of entitlement and the accountability of actions. Yet while this barbed snarl comes through loud and clear, it unfortunately feels rather heavy-handed and not quite as perceptive as it likes to think it is. M ost of the characters in the eponymous club are rich, snotty and ultimately vile human beings and while that may be the point of them, you don’t half feel a bit sordid watching them behave this way. The main character of Miles is the one closest thing to a hero as he is the most at odds with everything and slowly becomes aware, but he is by and large the only real character to like. All the rest, you really just want to reach through the screen and thump for their arrogance. 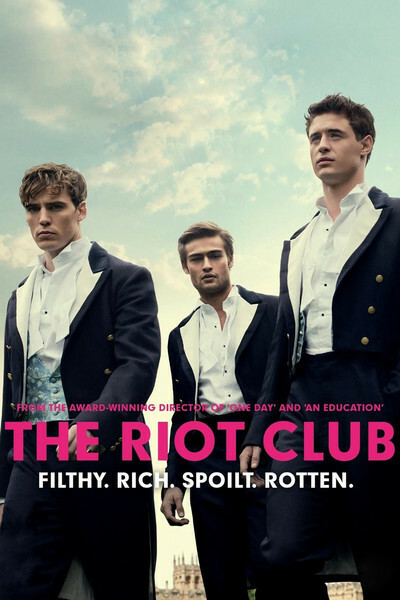 A bit more bite in the writing may have lifted The Riot Club higher, but it never quite gets beneath the themes that it raises. In the end, a lot of it just feels like another boys behaving badly film that has been done to death over the years. A quietly intriguing and bristling score at least brings some much-needed tension and irony to the film. What gives The Riot Club extra points is most of the cast. 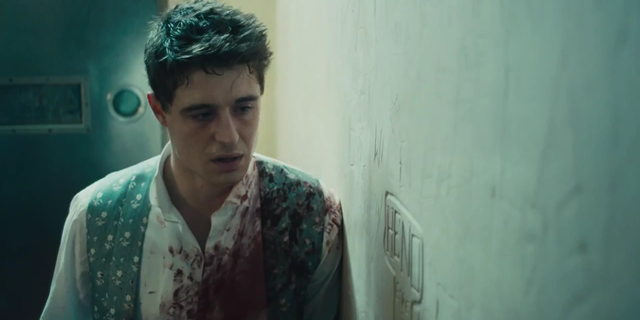 Max Irons plays the mainly upstanding member of the group who is seduced by the adventure at first, but then begins to feel disillusioned when he sees how vile it really is. Irons does a commendable job that makes you feel sympathy towards him as he realises the wrong that the club revel in, even if it is a little too late once chaos erupts. Sam Claflin is equally as marvellous, tearing up the screen little by little as a young man who feels inferior and acts out in a snobbish way to get some form of power. His vitriolic speech in the middle of the film where he boasts of his elitism and disdain for the poor is a pretty damn fine piece of acting. While the other members of the group blend into each other with their shared nastiness and pompous snobbery, Douglas Booth stands out playing the raffish one who is never far from a lady. The Riot Club has only around three female parts and while none of them are a particular stretch, the actresses inhabiting them do a commendable job. Holliday Grainger essays the role of Max’s less well off girlfriend who while sweet can spot a mile away that his involvement in the club will only lead to a downfall. Natalie Dormer has what amounts to a cameo as a prostitute who quite rightly puts the boys in their place and clearly won’t take no guff. The last girl is Jessica Brown Findlay as a waitress who also doesn’t take well to the harassment and attitude of the disreputable toffs. Tom Hollander has an eye-catching cameo here that makes the most of his time on screen. 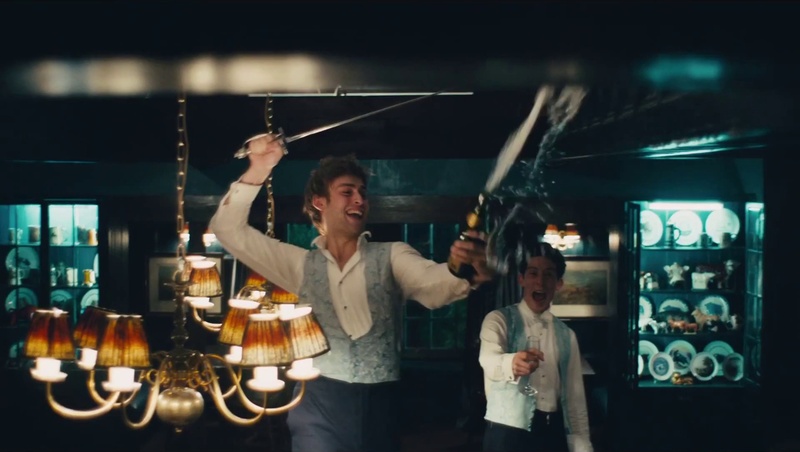 Appropriately dizzying and disquieting as it is, along with confident direction, The Riot Club simply doesn’t have enough within it to make it stand out and could have been telegraphed better. 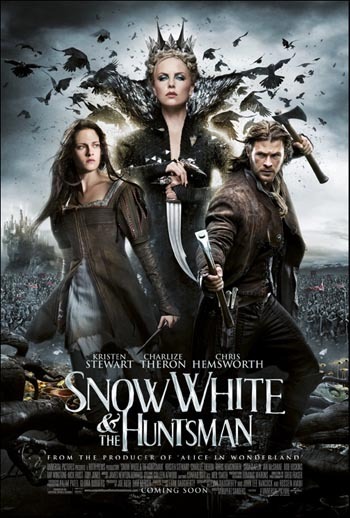 And given the nasty characters, the film can be repulsive to many and it never reaches the levels of bitter satire that it aspires too.